I'm going to share a secret with you today. Deep down, way inside, I dream of being a children's book illustrator. Many years ago I was an art major, quit because I was lazy, got my degree in something else and have regretted it ever since. 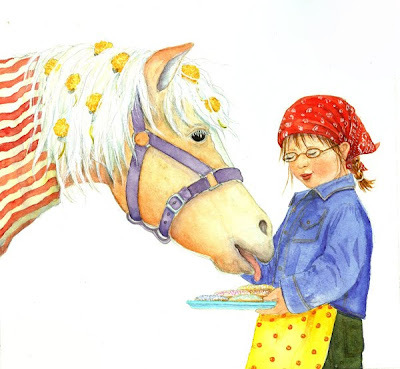 I am most drawn to the illustrations of Jane Dyer. I found Jane's books, "Talking Like Rain," (to name just one) when my children were small and I have collected her books ever since. 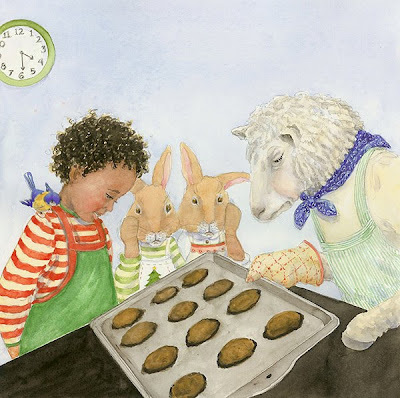 There is an honesty and whimsy about her paintings that just draw me in, as if it is perfectly normal for a little bird with a yellow shirt on to sit on your shoulder while two bunnies and a lamb help you make cookies! 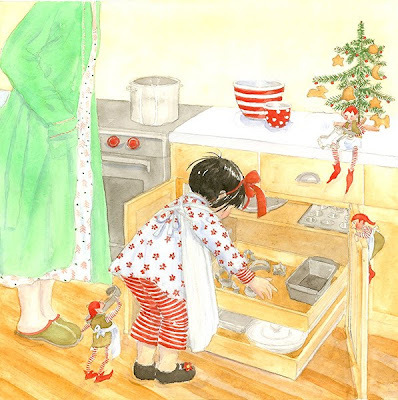 Or to have tiny little elves help you prepare breakfast in the morning while Mom looks on like this happens every day. No matter how old I get, as long as Jane Dyer keeps paintings these pictures, I will keep collecting her books. 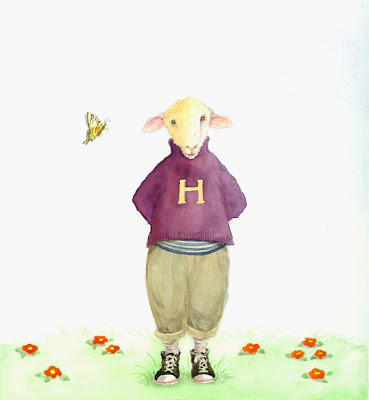 Who is your favorite illustrator or children's book author? You can still do it Renee!!! 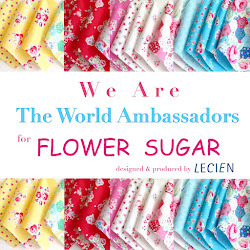 I think that you would be an exceptional illustrator! My favorite children's author is Robert Munsch. "Love You Forever" and "Paper Bag Princess" to name a few. Go for it. I don't think there is any rule in life that says you need to stay on the same road you are currently on, and I think there is still plenty of time to explore your dream road. You don't want to find on your last step in life, you are saying "I wish I had....". Dream it, do it! I know you can! I'm sure its cliche' but I gotta say Beatrix Potter. Who knows? 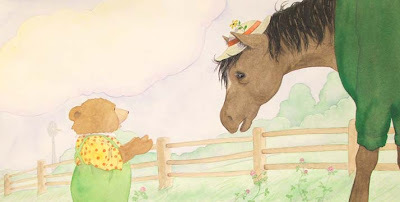 Maybe you'll still get your chance to illustrate children's books. I think you should pursue your dream of being a book illustrator. Why not? I just realized I DO own a book illustrated by Jane Dyer...it's called "Time For Bed". All the animal moms are coaxing their children to bed. Sweet!